Rose is a fishermen’s village situated right next to the sea, cuddled by mountains and Mediterranean forests, on the edge of the Lustica Peninsula, facing Igalo. The houses of Rose are lined up on the front of the quay well protected from the winds. This is one of the most beautiful spots of the Riviera. It’s background is a forest with extraordinary samples of Mediterranean horticulture. The beach is rocky, and the sea is deep with sandy and rocky bottom which is a true challenge for divers and underwater fishing lovers. This place used to be a quarantine for the seamen from all over the world. Nowadays the successors of Portuguese and Spanish sailors can be met here. You can reach Rose both from the sea and dry land. 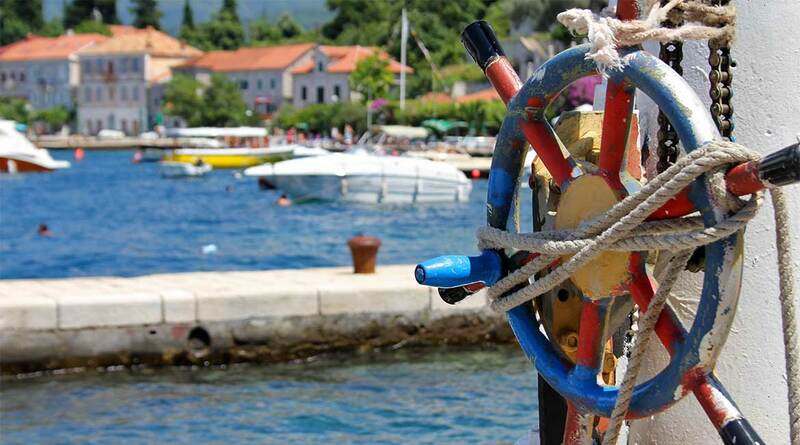 Rose, because of its location outside the touristy beaten track at the very tip of the Lustica peninsula near the entrance of the Boka Kotorska, gives it a different feeling as a fishing village than the other fishing villages in the bay. The sea is more turbulent because of the more open location, and darker because of the depth. The direct location by the sea with narrow streets and the picturesque harbor let the sea life come to life. The gradual accumulation of houses on the narrow coastal strip has ensured that accommodation can only be found in renovated fishermen’s houses and the former small fortress called Forte Rose. This former Austrian-Hungarian fort has been transformed into a tourist complex consisting of apartaments complex, hotel and the Forte Rose’s famous Mediterranean restaurant which used to be the lighthouse of the bay and offers a view of Rose, Herceg Novi and the Boka Kotorska. This fort and restaurant largely ensure that Rose is described by many as romantic. Facilities : Free Wi-Fi Internet, Picnic Area, Outdoor furniture, Private Beach Area, Terrace, Garden, BBQ Facilities, Diving (surcharge), Canoeing (surcharge), Grocery deliveries, Airport Shuttle, Ironing Service, Laundry. Forte Rose Apartments – Forte Rose Apartments is located on the seafront in the historic fortress on the Lustica peninsula, opposite Herceg Novi. It offers rustic-style cottages with air conditioning, an LCD TV with cable channels and a private bathroom. The tavern of Apartments Forte Rose is surrounded by stone walls and olive groves. Guests can enjoy authentic and traditional recipes from the Bay of Kotor, including lamb, veal or octopus. You can also taste different types of cheese and homemade prosciutto. You can enjoy pleasant lounge music in the beach bar, and freshly prepared cocktails and ice cream. The Forte Rose has a private yacht and can arrange boat and sailing trips. Bikes can also be rented on site to explore the Luštica peninsula. Day trips to nearby attractions can also be arranged at the property. Facilities : Restaurant (à la carte), Diving (surcharge), Bicycle Rental (surcharge), Bar, Room Service, Snack Bar, Airport Shuttle, Outdoor furniture, Terrace, Garden, Snorkelling (surcharge), Car Rental, Free Wi-Fi, Room Service, Grocery deliveries (surcharge).